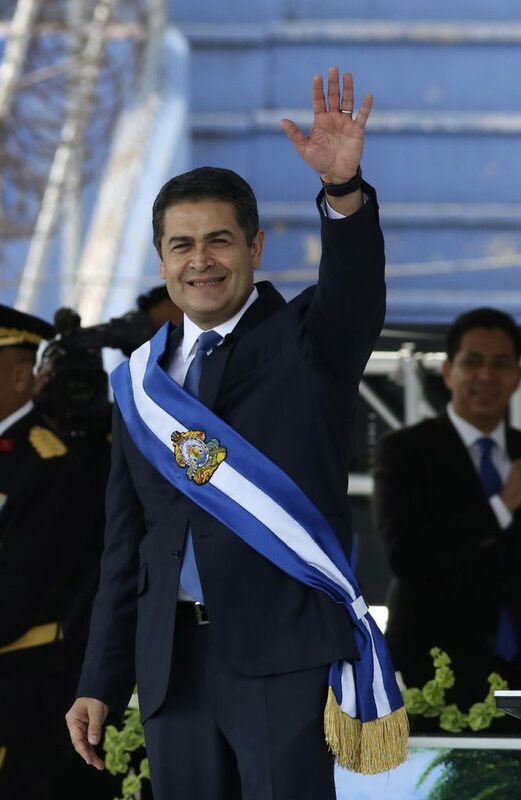 Honduras President Juan Orlando Hernandez announced his country’s plans to move its diplomatic mission in Israel from Tel Aviv to Yerushalayim. Hernandez made the announcement Sunday during the 2019 American Israel Public Affairs Committee (AIPAC) conference in Washington. In the long term, Hernandez says his country will move its embassy from Tel Aviv to Jerusalem once Israel opens an embassy in the Honduras capital of Tegucigalpa. Last year, Honduras was one of only eight countries that opposed a U.N. General Assembly resolution condemning President Donald Trump’s recognition of Jerusalem as Israel’s capital, along with Guatemala, Israel, the Marshall Islands, Micronesia, Nauru, Palau and Togo. Once Honduras’ embassy move is completed, it will join the U.S. and Guatemala as the only three countries with full-fledged embassies located in the Israeli capital. Paraguay, which had initially followed the U.S. and Guatemala and moved its embassy to Jerusalem in 2018, later moved its diplomatic mission back to Tel Aviv. In related news at the AIPAC conference, Romanian Prime Minister Viorica Dăncilă announced that his country will also be moving their embassy to Jerusalem. “I as Prime Minister of Romania, and the government I run, will move our embassy to Jerusalem. Our suppot of the State of Israel and the Jewish community is constant.” said Dăncilă. Other countries have suggested they may also relocate their embassies to Jerusalem.